The nose starts off slightly alcoholic with dark sweet fruit notes underneath. Since this is my last dram from the bottle (a minute of silence, please), I know to add three espresso spoons of water. Let some time pass. Ah ha! Much better! 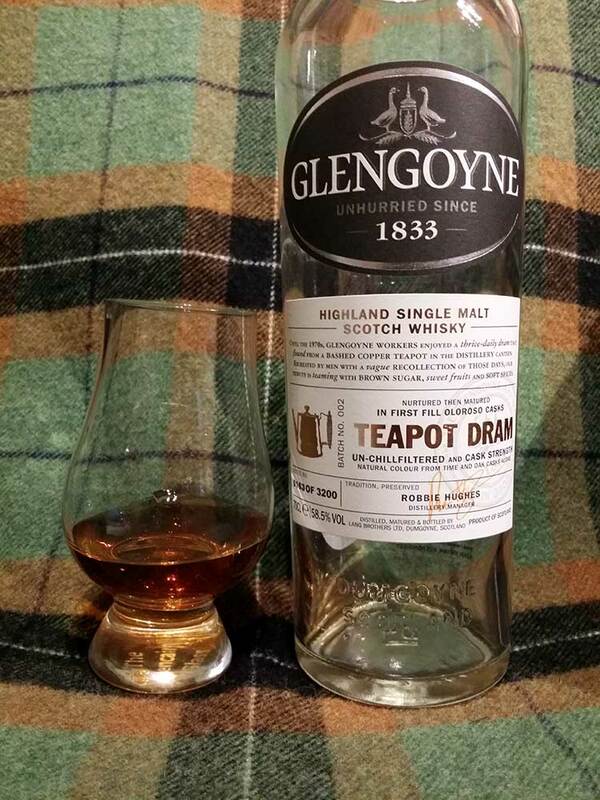 Glengoyne is a fruity and very clean distillate which works very well in ex-sherry casks. Very clean alcohol, dry-ish oloroso sherry (it’s not really sweet on the nose), spicy european oak with citrus fruits on top. Fruity notes of raisins, dates, fresh figs, sweet cherries. cocoa, cinnamon, cloves and ground coffee add further complexity. 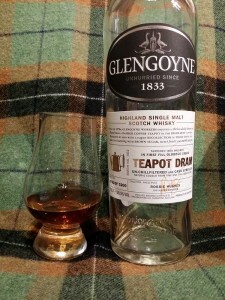 The palate (diluted) continues this story: Very clean, fruity-zesty raw distillate meets quality oak casks. Perfect balance between dark fruit sweetness and dry sherry, coating the entire mouth, oily. A dark fruit puree (dates, figs, cherries, raisins, plums) meets milk chocolate, molasses, oriental spices (cinnamon, cloves, a touch of nutmeg) and a hint of oak. The long finish is slightly nippy upon swallowing and on the dry side with aforementioned dark fruit puree and spices which take a long time to fade. .